Home — Your Love, Our Musical! Your Love, Our Musical is an interactive improvised musical about your love story! Rebecca Vigil and Evan Kaufman interview a couple and then turn their love story into a fully improvised musical! Want to learn more? Come see a show! An improvised musical about your love story! …is a LIVE musical improv show about love! Musical improvisers Rebecca Vigil and Evan Kaufman interview a couple from the audience about their love life, than create a fully improvised musical about that couple’s love story! It's just like Hamilton... if Hamilton was about how you met your boyfriend online dating. Rebecca and Evan recently appeared on an episode of Bravo's Million Dollar Listing, where they created a million dollar musical for Ryan Serhant and David Amirian! Want to make your special event that much more special? Hire Rebecca and Evan for a private event! We've performed for Fortune 500 companies, brides to be, and former professional football players*! (*Yes really. Click below and we'll tell you more! Your Love, Our Mailing List! 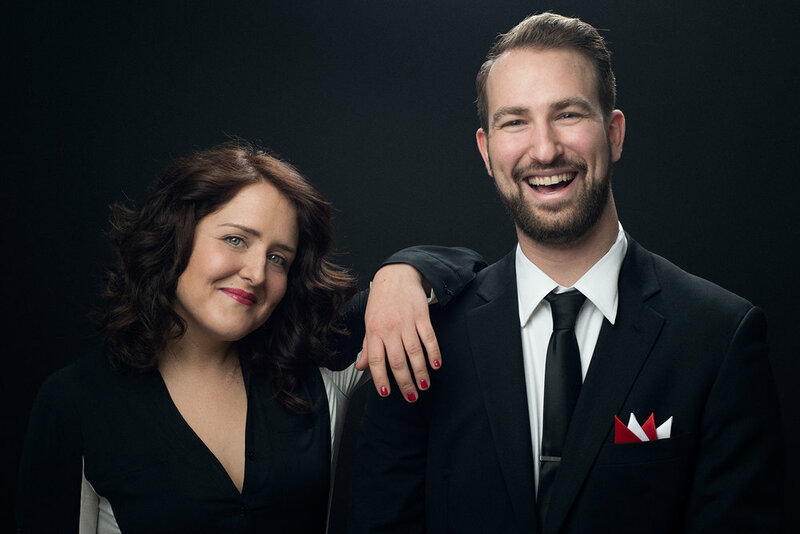 Every month Rebecca and Evan send one email to update our fans on shows, videos, and more! Want to know when and where the next YLOM show will be? Sign up for our newsletter! YLOM’s newsletter about all things love + music! Every month we compile incredible songs, love stories, and the latest articles on relationships. We bundle that up and send it right to your inbox, with a little reminder about where and when we’re performing! We love LOVE. Hopefully you will too! We promise to only email twice a month and respect your privacy. "The premise sounds nearly impossible, but the execution is reliably brilliant." "If you’re worried about the reputation improv has, take my word for this one: I’ve seen this show bunches of times, and I have never seen even one person anything close to dissatisfied." Watch Rebecca and Evan explain the origins of Your Love, Our Musical on "Broadway Bartender" with host Anthony Caporale. Enter your email address to receive one email a month about Your Love, Our Musical! Thank you! Love and music await you!